Color(s): Variety of colors that include black, fawn, white, apricot, and brown. 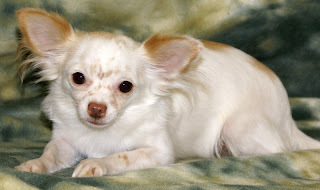 Chi-poo breed, also referred to as Chipoo is a designer dog, it is not a purebred dog but in fact developed by crossing of two breeds, Chihuahua and Poodle. These are not as famous as many of the other cross breeds out there. Loving Chi-poos show deep devotion to their owners. Even as a , they tend to get attached to one person. They love following their owners around, wanting to play with them all the time. These small dogs love to cuddle and entertain their owners with tricks. These breeds suffer from slipped stifle, Progressive Retinal Atropy, epilepsy, ear infection and skin diseases.